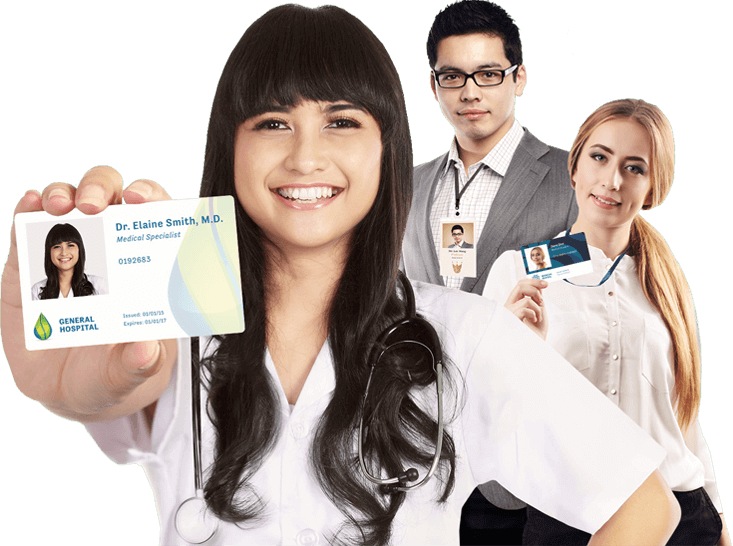 Create Professional and high-quality ID Badges in a matter of minutes with our easy to use Badge Maker! Start by choosing a pre-made template or start from scratch. Add text, barcodes, qr codes, images and even shapes to your ID. Simply print, get same day shipping or print from home. Bring your ID Cards to life. Bring them to life by making them wearable and using them for time-blocks and building access. Use your ID badge so others can view and remember your name. Use your ID badge to quickly gain access to your building. Use your ID as your personal name badge for easy identification. Use your ID badge to manage your time at work. I like being able to make these badges quickly and receive them quickly so our students have them right away. I like the fact that I have some creative ability with the badges. I have used IDCreator for over 2 years now and they provide a superior product. It is a great company and they have excellent quality for their products. We have been using IDCreator.com for many years and highly recommend them to everyone. IDCreator was the perfect choice for our small organization. Since we work over in East Africa, the need for proper and highly official identification for our staff members was needed. The ability to have a bar code, QR code, and hologram worked wonders! Great provider of high quality badges. Love the ability to create a template and then create dozens of IDs quickly. The whole thing is easy to use and user friendly. Provides a great product at an affordable price. I like that I can design and create my own ID. It was a very quick and easy process. The online design tools were very easy to use and very effective. No design knowledge or extra software were necessary. IDCreator.com was incredibly easy to use. It took me less than 5 minutes to create my first badge, and another five minutes to create all the other badges we needed. Shipping is fast, and very inexpensive, and customer service has been great at answering any questions I have had (which weren't many). It was very easy to use and the prices are very reasonable. Will definitely use again for our ID needs.